PLAYA VISTA, Calif. — 2019 marks the ninth year of existence for the Entertainment Identifier Registry (EIDR), the global unique identifier system. But while it’ll be a year before the organization can celebrate year 10, perhaps a bigger milestone has already been reached. This month, EIDR passed the 2 million mark when it comes to unique IDs, with the Bollywood film “Gully Boy” claiming the milestone number. 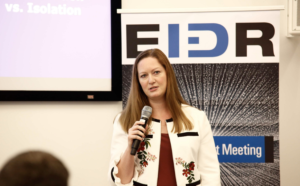 It was just one of many pieces of positive news studio execs, service providers and Hollywood vendors had to share about EIDR Jan. 30 during the group’s annual Participant Meeting. Several studio representatives involved with EIDR’s board of directors offered their thoughts on how EIDR has made their business better, with more than one sharing that when they first began using EIDR tags, it was exclusively for long-form content. Now, everything from bonus features to trailers to marketing materials are being equipped with EIDR, to handle everything from tracking versions to more accurately defining licensing. And everyone else in the content supply chain had nothing but praise for EIDR and what it’s done for their businesses as well. For Bill Kotzman, partner product manager of TV and film for Google Play, and chairman of EIDR’s board, EIDR has allowed Google Play and other service providers do things they probably otherwise wouldn’t have done. “What it really helps us do is take initiative,” he said, pointing to Google Play’s involvement in the Movies Anywhere digital ownership initiative. “It’s that streamlining between the studios and us … that allows us to do a lot more.” He said that EIDR’s next big leap forward will be the tagging of TV content with the same verve that’s gone into film. Carrie Wilkie, SVP of information standards body GS1 US — whose barcodes are scanned 5 billion times a day in the U.S. alone — shared with the packed EIDR-invested crowd her view of how important universal IDs truly are, using the example of retail. GS1 US maintains the tracking standards across the supply chain, enabling retailers and suppliers to use one language to describe and share products. 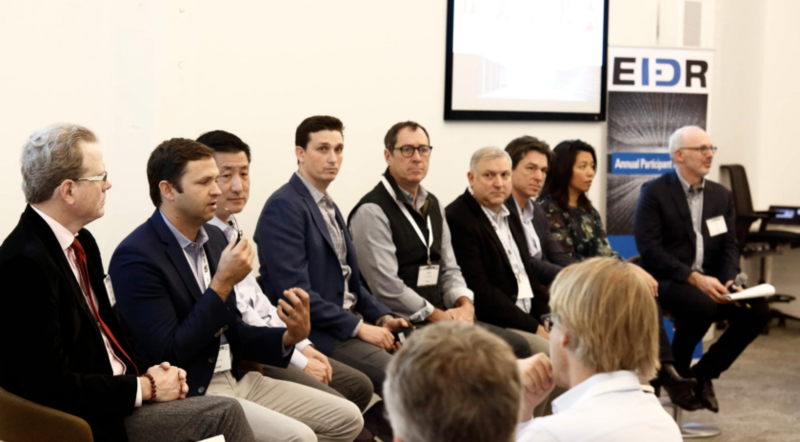 Click here to download the audio of the “The Future of EIDR in the Entertainment Ecosystem” panel. Click here to download the audio and here to download the slide deck of Wilkie’s presentation.